When Thomas’s family is annihilated in a raid, his life changes forever. Wandering for days, starving and hopeless, he is rescued by a monk and is taken to live at the abbey of Eynsham. There he receives a curious education, training to be a scholar, a merchant and a spy. His mission: to develop commerce in Muslim lands and dispatch vital information to the Holy See. His perilous adventures during the 11th century’s commercial revolution will take him far from his cloistered life to the great trading cities of Almeria, Amalfi, Alexandria and Cairo. But the world in which he lives is chaotic. Struggling with love and loss, faith and fortune, can Thomas carry out his secret mission before conflict overtakes him? 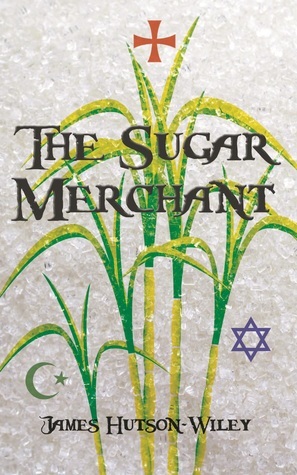 Spanning the tumultuous medieval worlds of Judaism, Christianity and Islam, The Sugar Merchant is a tale of clashing cultures, massive economic change and one man’s determination to fulfill his destiny. The 11th century world through which Thomas Woodward travels is changing; marked by the emergence of a disruptive commercial revolution. In the Mediterranean, the great Abrahamic faiths of Judaism, Christianity and Islam meet, often in cooperation and peace but, at times, in bloody conflict. It is an era of migration, globalism and multiculturalism leading to a robust interchange of technology, ideas and the basic tools of international trade. But, the interests of the Christian west are on a collision course with those of the Muslim world. War is coming. The Church is rallying the nobles of Europe to embark on an ‘armed pilgrimage’ to reclaim the Holy Land. Now, Thomas and his Muslim and Jewish partners’ lucrative sugar trade is in jeopardy. Thomas’s own secret and dangerous mission, directed from Rome, will become filled with even greater peril.